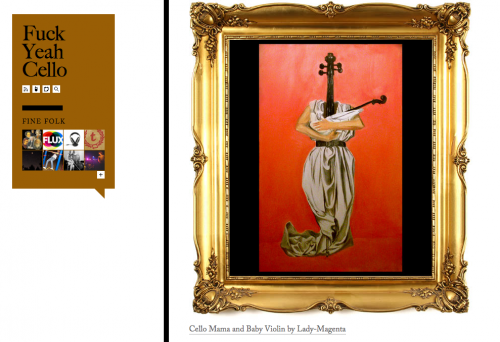 So I started running a tumblr about cello related things. It’s been totally satisfying and surprisingly easy. If you’re interested in cello, won’t you please follow me? I have a few cello obsessed friends. I’ll have to pass this on.